New 4 pc Inverted-Y Style Steering Linkage Kit for 76-77 Ford Broncos. 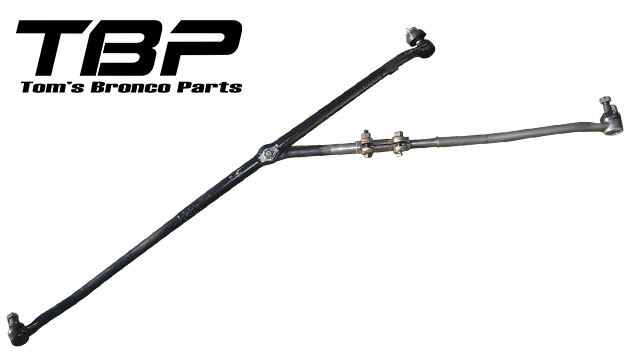 This steering linkage kit is a direct replica of the factory original steering linkage found on 76-77 Ford Broncos. Kit includes Draglink, Driver & Passenger Tie Rods and Tie Rod Adjusting Sleeve. Replaces 1976 to 1977 Ford Broncos factory inverted-y steering linkage. Includes draglink, left & right tie rods and adjuster sleeve. Also includes boots and mounting hardware.